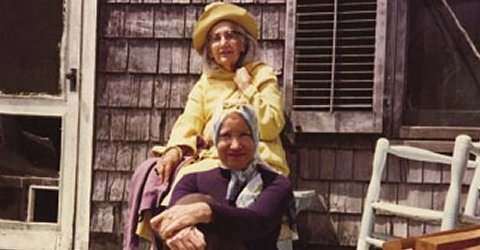 In a falling-down house in the Hamptons lived two Edith Bouvier Beales – a mother and a daughter. After the council threatened to demolish the house due to filth and squalor, their family put money into bringing it up to a reasonable living standard, but when this documentary was made only a few years later, it is already falling into disrepair. And here we meet this two women – the elder nearly eighty, with limited mobility and vision, the younger a former dancer and performer ruefully caring for her mother. They are related to Jacqueline Kennedy Onassis and were formally of the high life. But now they are living in strange conditions with extremely eccentric behaviour. It’s a fascinating documentary with such compelling subjects. There are so many documentaries out there that laugh at their subjects, and watching them is like rubbernecking a crime scene, but not this. Both Edies are presented sympathetically, and while you can’t help but laugh at some scenes, mostly you are compelled to sympathy and curiosity. Grey Gardens is available on DVD, though you may need to order it in.